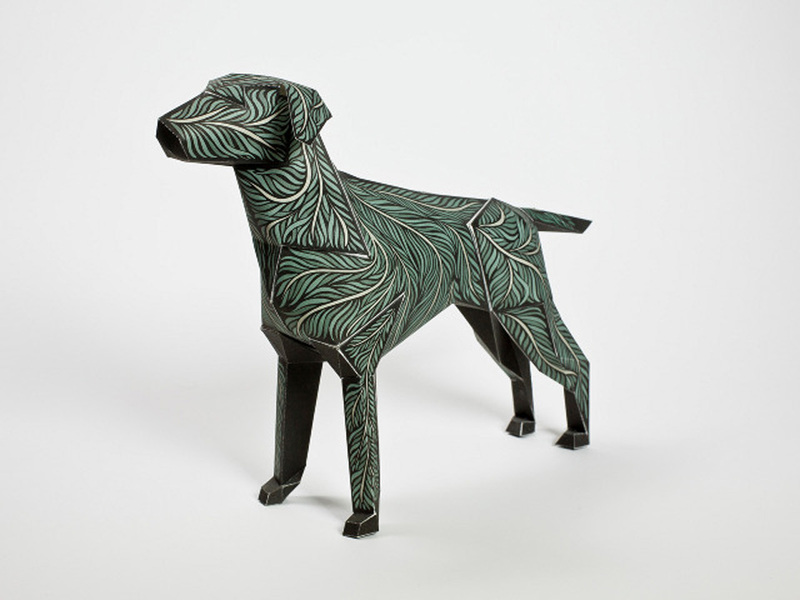 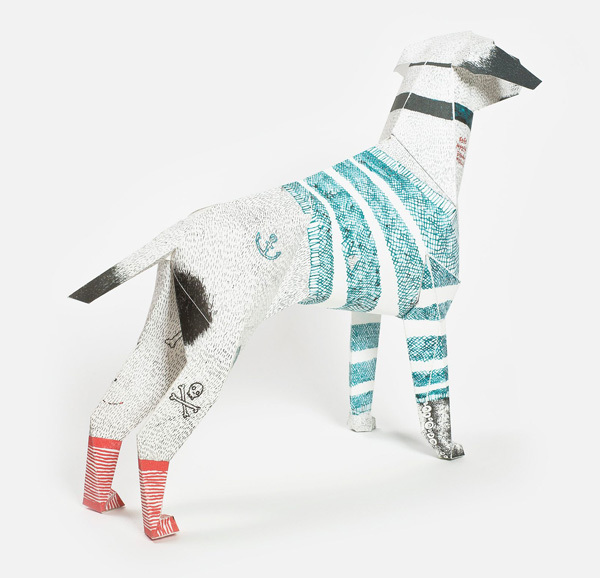 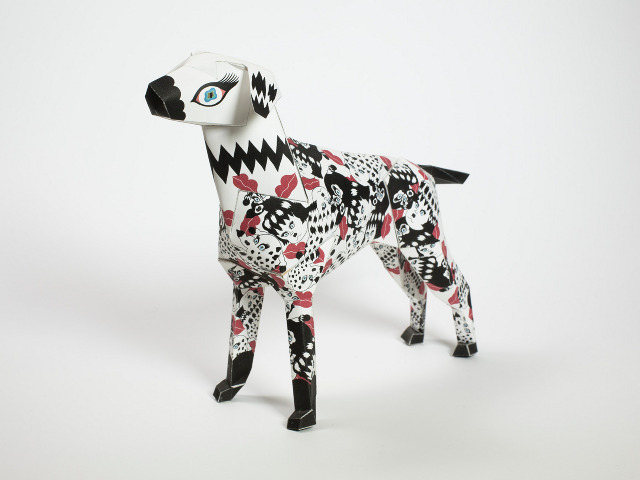 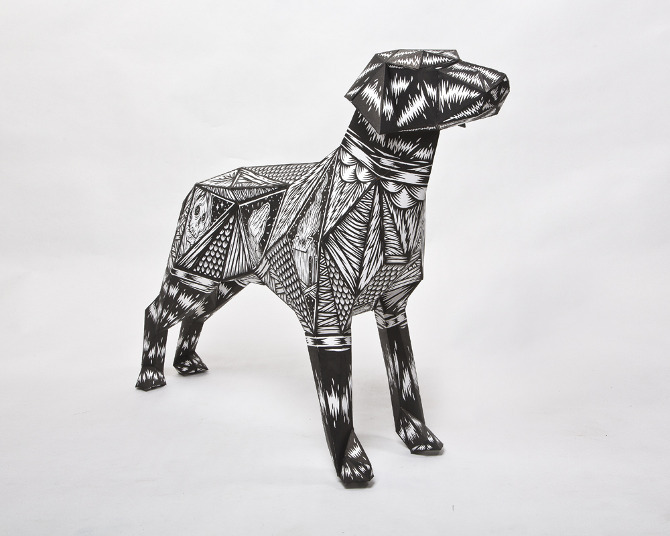 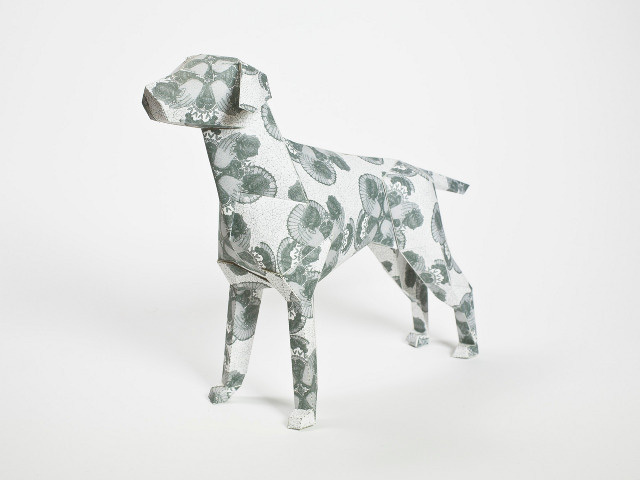 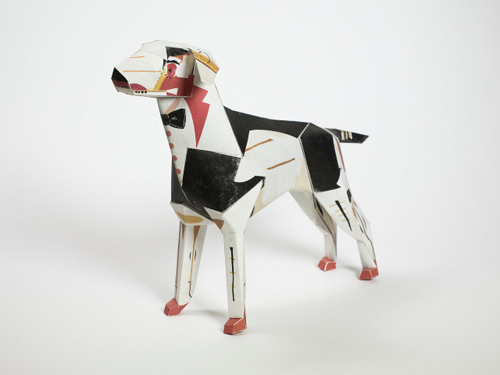 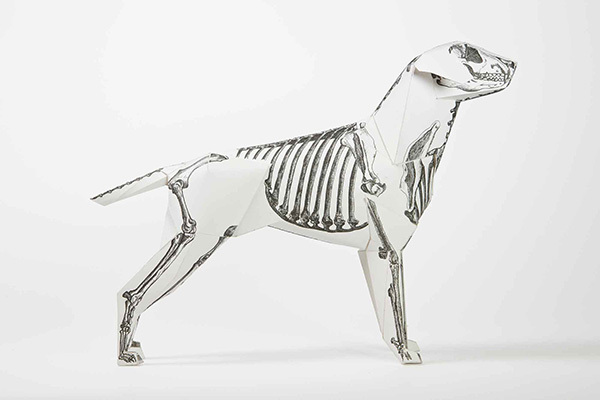 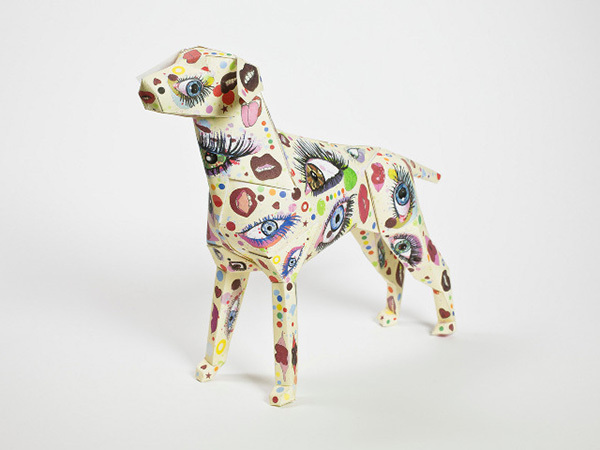 The paper dog ‘’Gerald’’ is in reality a visual project that was born in a the British studio of Design, Lazerian. 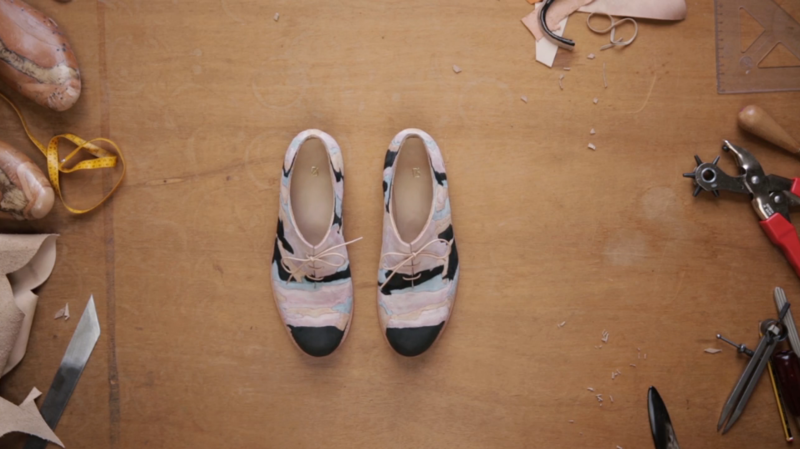 The 3D construction was created back in 2008 when Liam Hopkins, who was the founder of the studio, met the 3D designer Richard Sweeney. 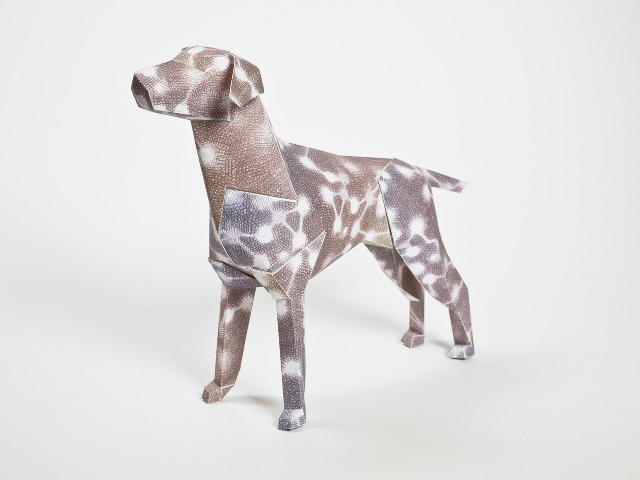 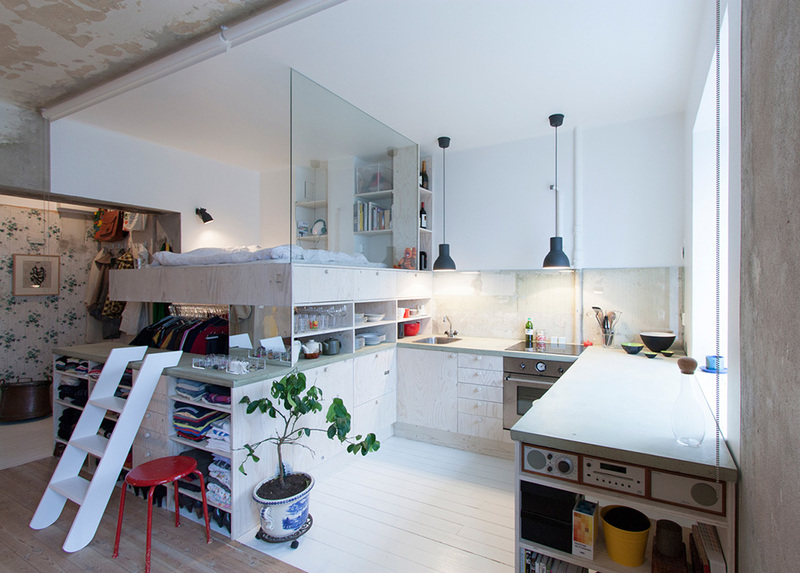 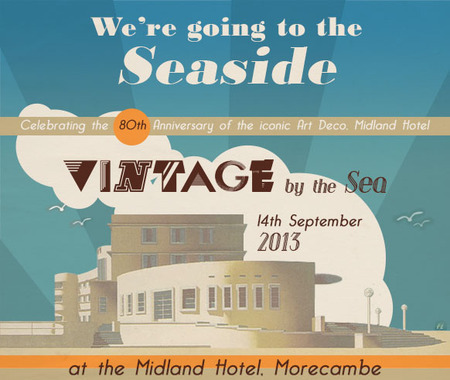 The aim of this collaboration was to present ‘’Gerald’’ to the 100% design event in London. 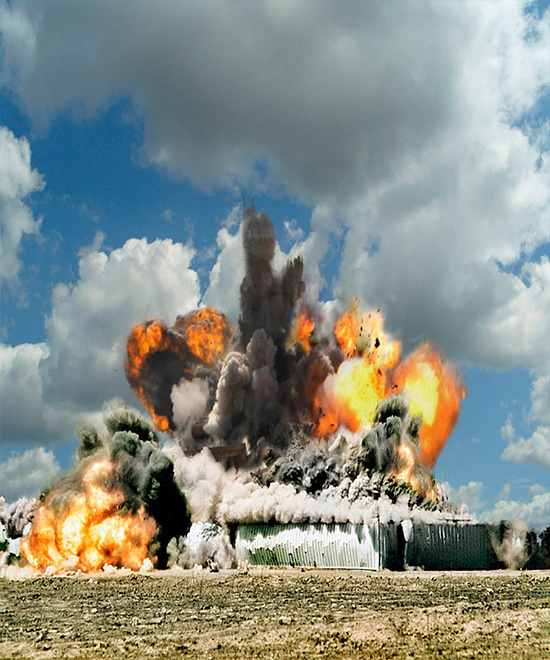 They wanted to create an easy made construction that everyone could take home and DYI it, with a huge amount of glue and patience! 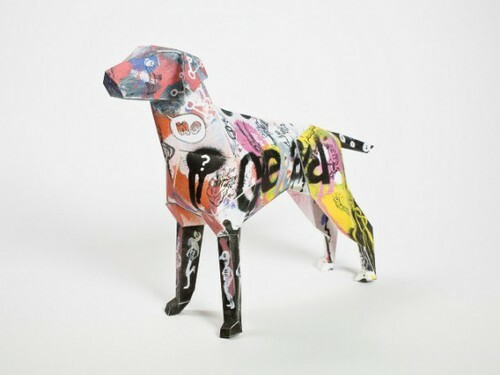 The paper dog was sold out, so the two of them decided to have fun and draw on the paper. 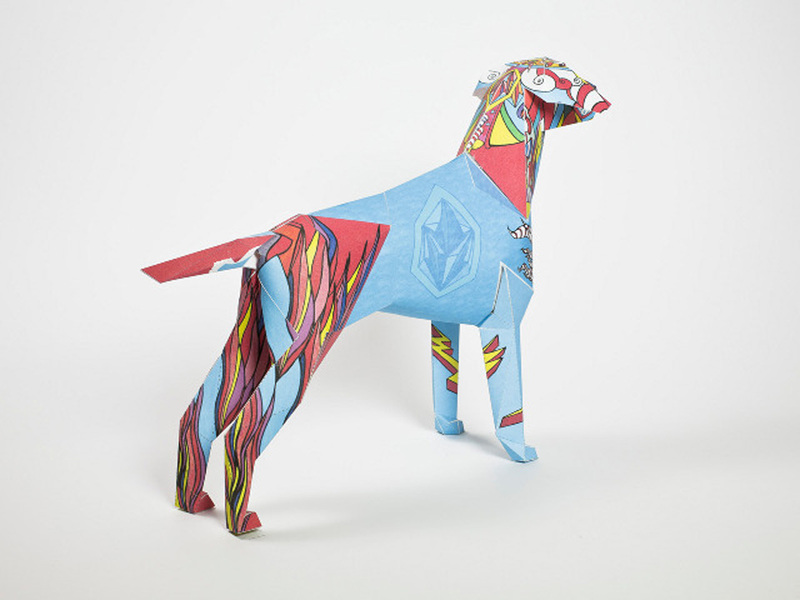 In the following pictures we can see the outcome of the project featuring 120 different designs from 105 different artists, including Simon Spilbury, Tim Lahan and Andy Smith.